Well, how about that? 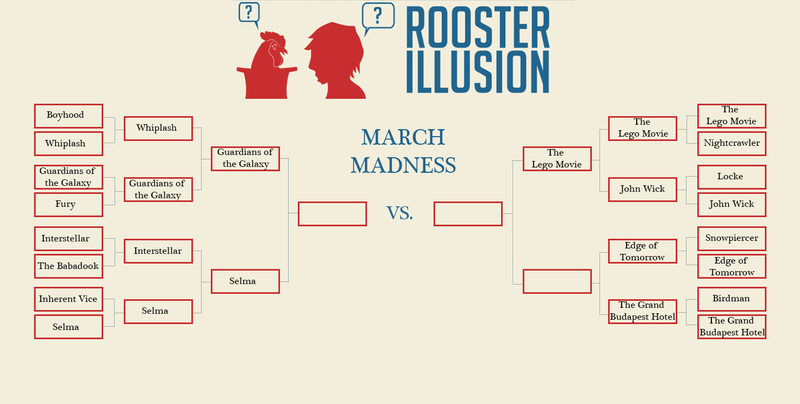 Selma defeated Interstellar in the quarterfinal, securing a slot in the semifinal against Guardians of the Galaxy. I wonder who’s gonna win that. You’ll have a chance to vote for that in a couple days, but first let’s determine the winner of our last quarterfinal to see who will face off against The Lego Movie for a shot at the finals. Today (re: tomorrow) we witness the final destruction of either a much-better-than-it-should-have-been Tom Cruise sci-fi action/adventure or Wes Anderson’s latest Wes Anderson movie, an often hilarious, often exciting, often melancholy adventure set in Europe between World Wars. 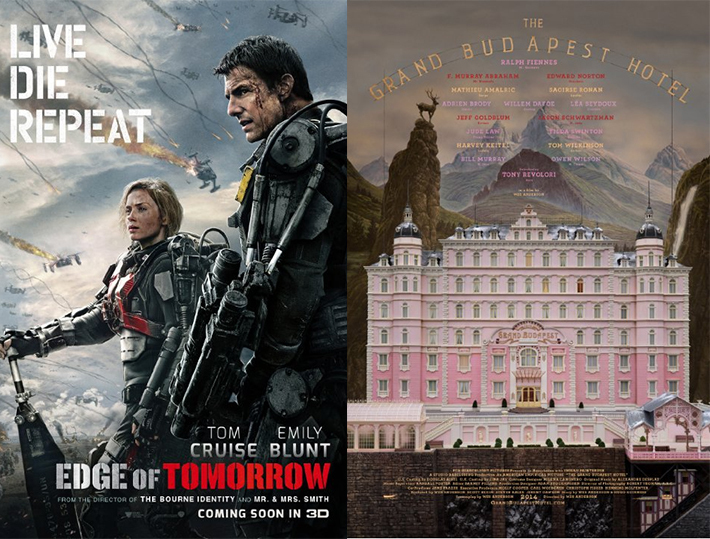 Need a recap on either Edge of Tomorrow or The Grand Budapest Hotel? Follow the links and read our (my) reviews, but don’t forget to come back and vote when you’re done.